Still scratching your head about what to do for Valentine’s Day? 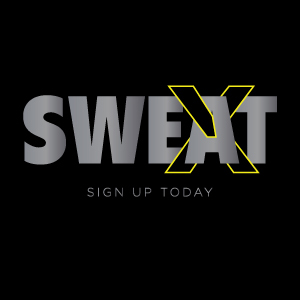 Whether you are single, have a partner, or are just looking to do something fun with a friend – SWEAT Fitness has the perfect solution. Instead of squeezing into a two-top at an overcrowded restaurant, do something great for YOU! SWEAT Fitness will be offering FREE berries and champagne at the front desk of each of their 8 locations all day on Valentine’s Day. Additionally, there will be a 7:30 pm BYO yoga class offered on the 14th at each location. This class is free and completely open to the public – bring your significant other, your friend or just yourself, a mat and the booze of your choice! SWEAT will provide the glasses and the yoga. What could be better than spending Valentine’s Day getting buzzed and working on your (cough, cough) flexibility? Whether you are in the city or in the suburbs, single or spoken for, you now have the perfect plan to celebrate!